This article explains how to connect the 3DR Radio v1 to your flight controller. You should also read SiK Radio v2, which contains a more detailed user guide and feature list. 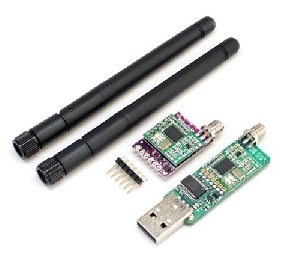 The 3DR Radio is the easiest way to setup a telemetry connection between your flight controller and a ground station. There are two versions of the 3DR Radio (version 2 is more recent). The radios have slightly different form factors and connections (v2 comes with a built-in FTDI cable) but otherwise their behaviour is very similar. This article only covers the main difference between the two radios — connecting the radios. The “ground” module has a USB connector making it easy to connect directly to your ground station. On a windows 7 or higher machine, the require drivers should be automatically installed the first time you plug in the ground module but if it does not install for some reason or the ground computer is running Windows XP (or earlier) you can get the D2XX FTDI driver here. The ‘aircraft’ module has a FTDI six pin header, allowing it to be directly connected to your Flight Controller’s telemetry port as shown in the following sections. 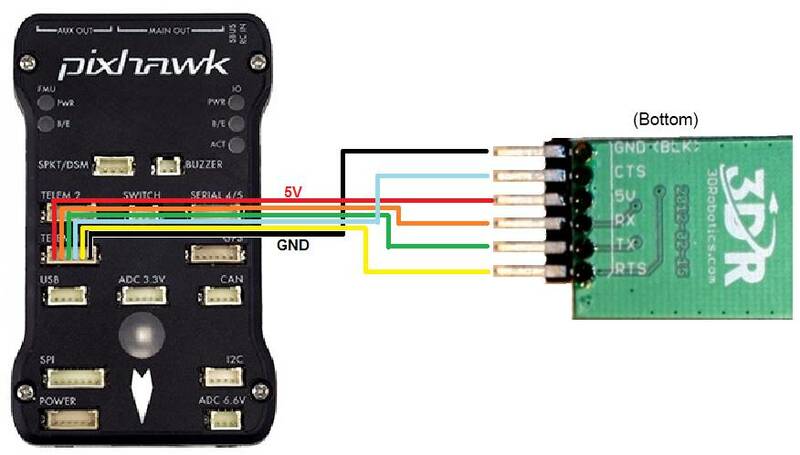 The Pixhawk 1 telemetry ports use a DF13 6 pin connector cable (15cm) instead of the 5 pins used on the APM2. This allows flow control but unfortunately means that you will need to hack a cable to get a Version1 radio to a Pixhawk. The connections required are shown below. You cannot connect via the radios when your APM 2.x is also connected via USB (they share the same port) so make sure you disconnect your USB cable from the flight controller before attempting a wireless connection.